Today, a history lesson, of sorts. The history of my devotion. I started writing this weekly devotion in 2001, when I was serving as the campus minister at Kansas State University. We had about 120 students regularly involved, although I sent the devotion out to about 700 students and faculty and Manhattan First Church members. Many of those folks still read this. Hi! And then in 2006 I moved to Topeka, where I served as head pastor at University United Methodist Church. Preaching, Teaching, Marrying, Burying. Mission trips and Visioning. You know, Pastor Stuff. Many of those congregants still read this. Hi! In 2010 I moved back to Lawrence, where I had previously served as the youth director. 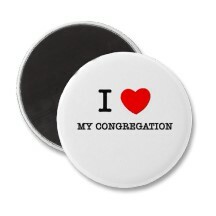 I was the associate pastor. I just moved from there. Lots of folks still reading this. Hi! Along the way I’ve worked on conference committees and youth camps. Making lots of connections with great people. Hi! And of course, there are bunches who read this whom I’ve never even met. Allow me to say: Hi! And today, I send out this devotion to new friends in my new church. Mulvane UMC, just south of Wichita. Everywhere I go, my ministry seems a little different, and I’m excited to see what comes of my time with these wonderful people. If you’re reading this, then in some way, big or small, you play a part in the history of my devotion. 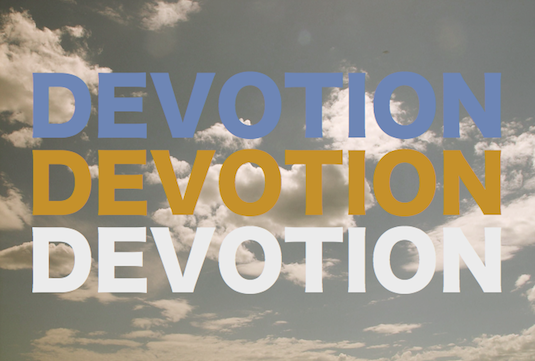 I don’t mean just the mid-week spiritual reminder I send out through my weeklydevotion.com blog. I mean the day to day rhythm of faithfulness with which I try to lead my life. My devotion to God. You are part of my devotion, and I hope I’m part of yours. 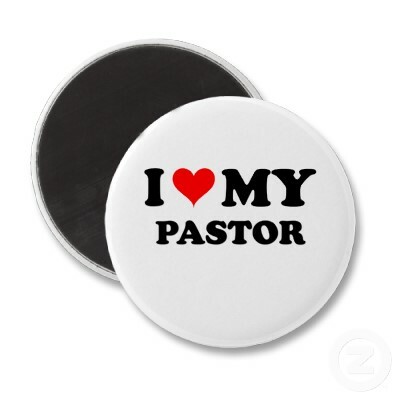 HOW DOES YOUR PASTOR STACK UP AGAINST OTHER PASTORS IN YOUR AREA? GO TO RateMyPastor.com AND SEE FOR YOURSELF! There’s no such site. Which is disappointing. I mean, how will you know if your pastor is any good? ___ The flexibility of a gymnast. ___ The fund-raising skills of a televangelist. ___ The speaking skills of an orator. ___ The maturity of a veteran. ___ The administrative skills of a CEO. ___ The vision of an entrepreneur. ___ The conflict management skills of an arbitrator. ___ The spiritual power of a shaman. ___ The timing of a stand-up comedian. ___ The listening ear of a therapist. ___ The wisdom of a sage. ___ The knowledge of a professor. ___ The compassion of a tibetan monk. ___ The charisma of a celebrity. ___ The energy of an athlete. ___ The wardrobe of an executive. ___ The youthfulness of a Hipster. ___ The thirst for justice of a community organizer. ___ The tenderness of a hospice chaplain. ___ The leadership of a general. So, how did you pastor do? If you gave them 1-5 out of 20 they’re GOOD AND FAITHFUL SERVANTS. If you gave them 6-10 out of 20 you’re BLESSED TO HAVE THEM. If you gave them 11-20 YOU’RE LYING! The truth is, NOBODY could be and do all the things people expect pastors to be and do! It’s one of those professions that has lots of skills that can be attached to it. Some pastors are great fundraisers. Others are great preachers or teachers. Still others are phenomenal with pastoral care. Your pastor is excellent in some things, good in others, and probably struggles a bit with other areas. That’s normal. See that list above? That’s a better job description for a whole church! Along with the gifts of the pastor, members of a church can lend their skills and gifts to provide a vital, well-rounded ministry. It turns out I’m glad there’s no RateMyPastor.com. We ALL are called to give our very best for the Kingdom, and that includes everybody, including you.